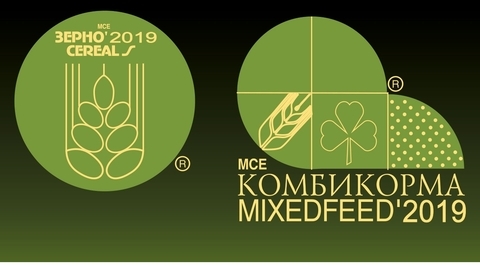 The "Forberg" and "Tietjen" preparing for the exhibition "MVC: Grain-mixed Feed-veterinary-2019"
European company "Forberg" (Norway) and "Tietjen" (Germany) will be presented on the stand В275 in pavilion 75 VDNH. The exhibit can be seen in the framework of the XXIV International specialized trade and industrial exhibition "MVC: Grain-mixed Feed-veterinary-2019", which will take place from 29 to 31 January 2019. The "Forberg" produces equipment for processing, food, feed, chemical industry. The equipment for mixing bulk solids, drying, sterilization, vacuum deposition and high-precision mixing ingredients. The range of the manufacturer includes dual mixers periodic operation, the system of mixing and steam treatment of feed crushed with the subsequent drying, vacuum napulitane, mixers, bulk products, mixers, with functions of steam injection and drying. "Tietjen" has been manufacturing hammer mills used in the feed industry, provides services for maintenance of equipment, machines and plants for the processing of husk. In the producer line also includes mill and modules for grinding used in the production of feed for Pets and fishes. Today to participate in the exhibition prepared 440 companies from 28 countries: Austria, Azerbaijan, Belarus, Belgium, Bulgaria, great Britain, Germany, Denmark, Italy, Spain, Kazakhstan, Canada, China, Korea, the Netherlands, Norway, Poland, Serbia, Slovenia, USA, Turkey, Ukraine, Finland, France, Czech Republic, Switzerland, Japan, and 41 Russian regions. Occupied exhibition area of more than 24.000 sq. m.
Looking forward to seeing everyone at the show! Receive a free e-ticket upon registration on the website: www.mvc-expohleb.ru For journalists provides the accreditation required on the site.